Looking for some cool ways to make your boring shoes stand out in a crowd? 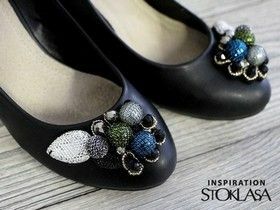 Get crafty with your sneakers, flats, loafers, and heels by adding paint, textures, colors and patterns. Check out these fun ideas for wearable art on your feet. 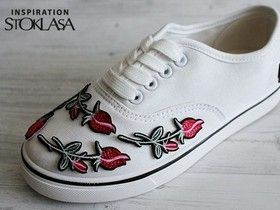 You can sew a trimming or iron-on patch on sneakers or closed fabric shoes. Choosing a color and theme is up to you and your taste. 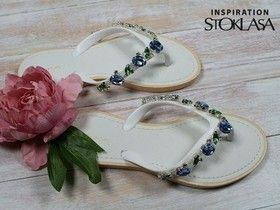 You can choose rhinestone or sequin patches to make your step shine. OUR TIP: We recommend to glue or even stitch the iron-on patch to prevent it from peeling off. In addition, it is tough to iron on Patches to shoes. On warm days, flip flops and sandals come in handy. 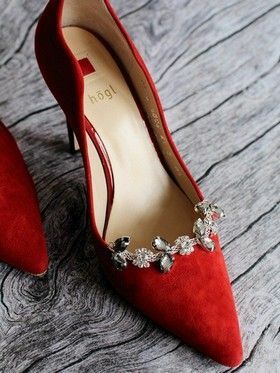 In these shoe will stand out your perfect pedicure. 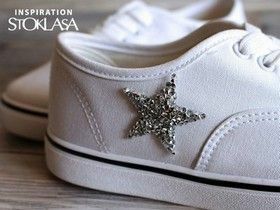 For these shoes we have a tip use a decoration with rhinestones, which can be easily attached with hooks. 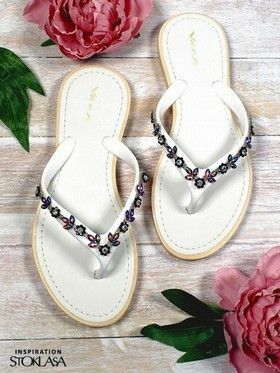 Bohemian flip flops can be decorated using pom pom braid or mini tassels or various trimmings. 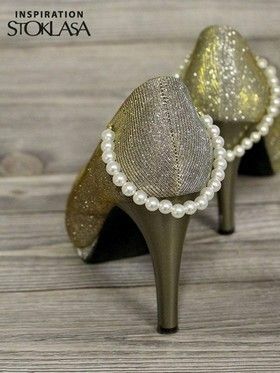 A simple high heel shoe can turn into a luxurious accessory thanks to pearl or rhinestone decoration. 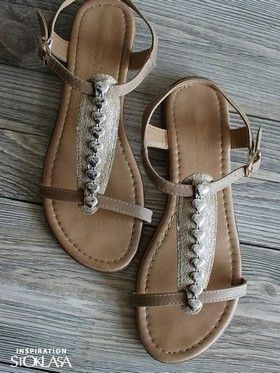 You can sew or glue it on easily. For Autumn decoration would be perfect fur brooch.